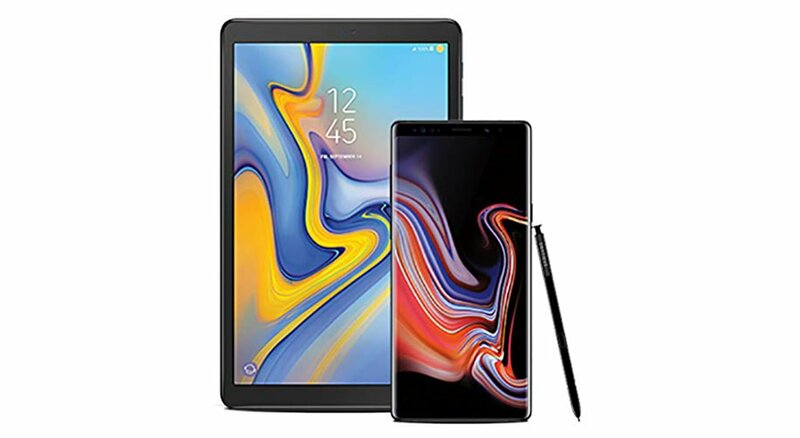 Samsung Galaxy Note 9 factory unlocked 512GB smartphone and a Galaxy Tab A for just $1,049.99 shipped from Amazon. This was selling for $1,367 yesterday and is now the lowest price ever from Amazon. This offer is valid for today only so you better hurry. The 128GB version of the Note 9 is also available for $999.99 with a Galaxy Tab A, but for $50 more, it’s a no brainier to get the 512GB phone, which also comes with 2GB of extra RAM. At 6.4″, the Note9 has the largest screen of any Galaxy phone. Perfect for gaming and streaming, our Super AMOLED display is bigger than ever before.S Pen remote function reaches about 32 feet in an open space. Performance subject to circumstances. Full disclosure: This post contains affiliate links to Amazon, if you purchase something we make a profit at no extra cost to you.